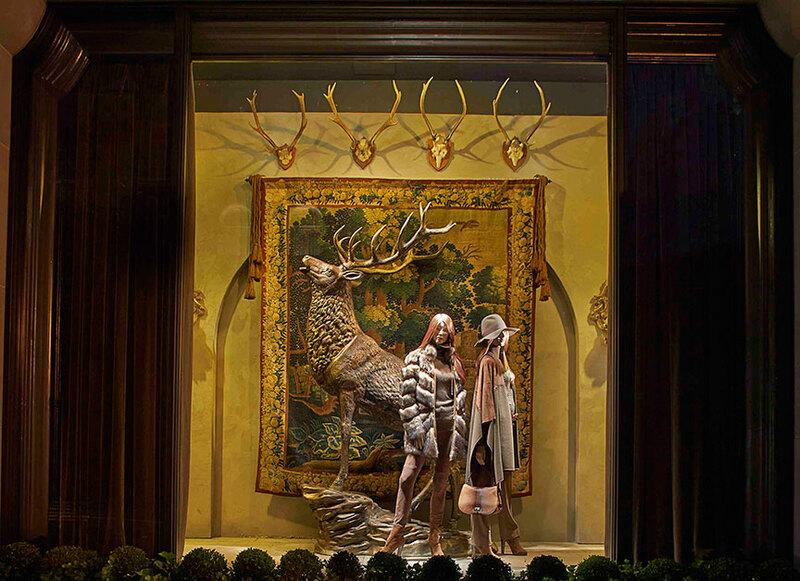 Ralph Lauren: In a Kingdom not so far away — Geoff Howell Studio Inc.
To recreate the ambiance of perhaps of a mountain castle at the Women's flagship store on Madison Ave and 72nd St, the team at Ralph Lauren worked with us to create architectural elements of plaster-coated walls, wine barrels fit for a king, tapestries and hunting trophies set the scene. For our part we built and installed, the walls, the fireplace, giant wine barrels, floors, windows and doors. As usual the finishing touches by their amazing stylists bring the hearty fantasy to life.